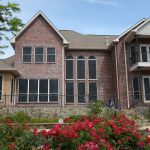 Q: ​If I am replacing my insect screens with new screening products, what spline size should I use? A: If you do not have a sample of your old spline to match the size, then the product that is being installed and the screen frame’s spline groove determine spline size. Measure across the spline channel or groove of the screen frame and use one size smaller spline for fabrication. When selecting spline for your DIY screening projects, use the same diameter spline as the frame’s spline groove width for all products except when working with Aluminum or Bronze screen, PetScreen®, SunTex®, Super Solar, or TuffScreen®. Use one diameter size smaller spline for these listed material. Q: What is Water Shed Technology™ and how does it work? A: Water Shed Technology is an advanced water repellent (hydrophobic) coating that allows the screen to easily shed water and other substances. The coating virtually eliminates "window paning," a process by which water fills the open squares during a rain storm. A: Bronze screen, any fiberglass screens, TuffScreen® or PetScreen®. Q: ​Which products provide the best insect protection? 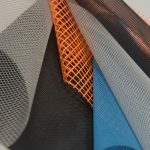 A: All Phifer insect screening products provide excellent insect protection, but No-See-Ums® 20×20 mesh, and Solar Insect Screening’s 20×30 mesh provide insect protection against tiny insects. Click here to view our screening features guide. A: All Phifer products are made to provide years of enjoyment and protection. A: Refer to our products and features guide. ​​​​Q: ​Which products have the ​​​​​best outward visibility/view? ​​​​Q: ​Which products block solar heat and glare? ​A: Phifer’s Exterior Sun Control Products will block the sun’s heat and protect from insects. 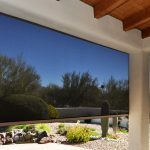 See the full line of Phifer sun control screens at Exterior Sun Control Landing Page. ​​​​Q: ​Which products will provide daytime privacy? ​A: Refer to our products and features guide. Q: ​Will bronze screen turn green? Q: ​How do you clean insect screening? A: Rinse metal products with water only. Clean vinyl products with a mild soapy solution, avoiding hard scrubbing. Q: ​What is the GREENGUARD® Certification? A: GREENGUARD® is an indoor air quality certification program for low emitting products. GREENGUARD® tests products’ chemical emissions by evaluating over 75,000 chemicals, including volatile organic compounds, carcinogens and reproductive toxins. For more information, click here. ​A: Microban® antimicrobial protection is infused into many of our products to inhibit the growth of bacteria, mold, and mildew. For more information, click here. 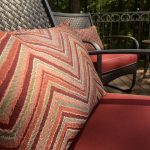 ​Q: ​Do Phifer sun control fabrics reduce fading of my furniture and interior surfaces? 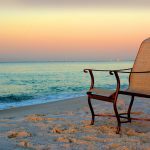 A: Phifer sun control fabrics can reduce the effects of damaging UV rays that cause fading. Since UV blockage varies based on openness factor, please check the product specification information for specific performance values.